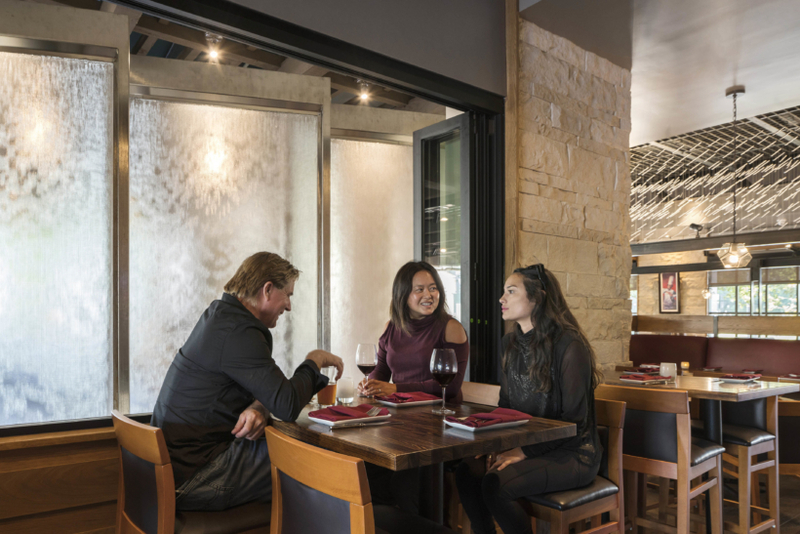 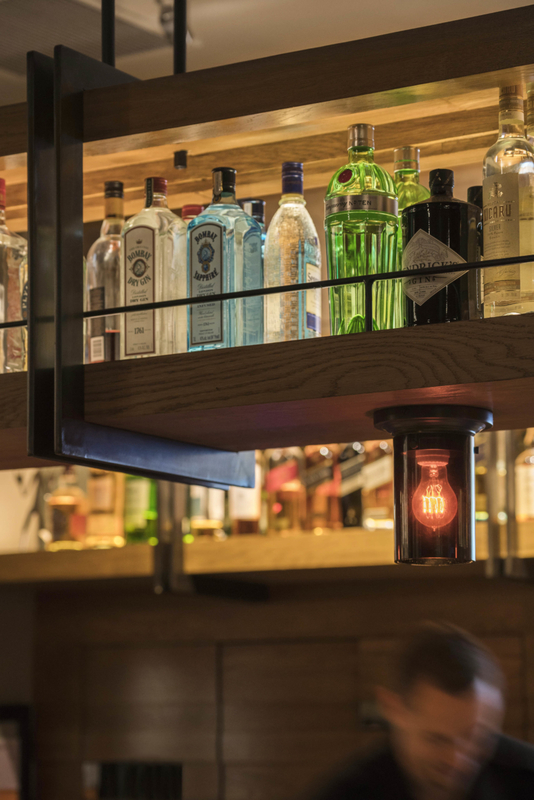 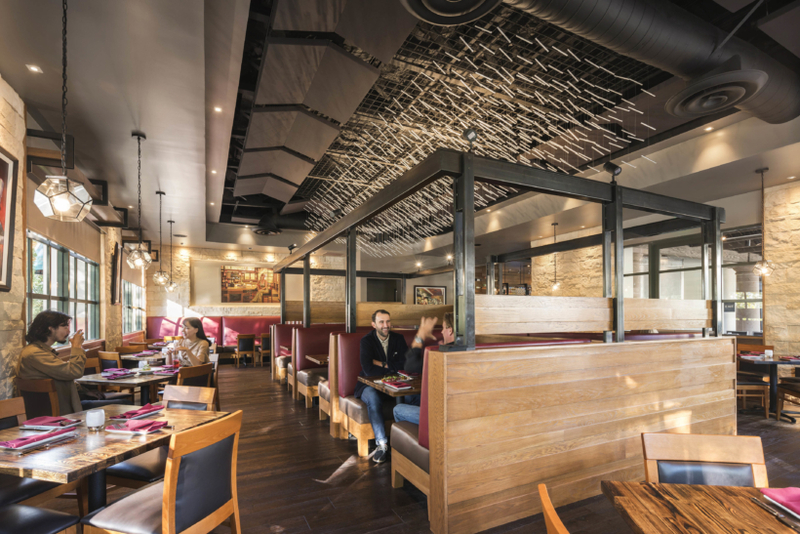 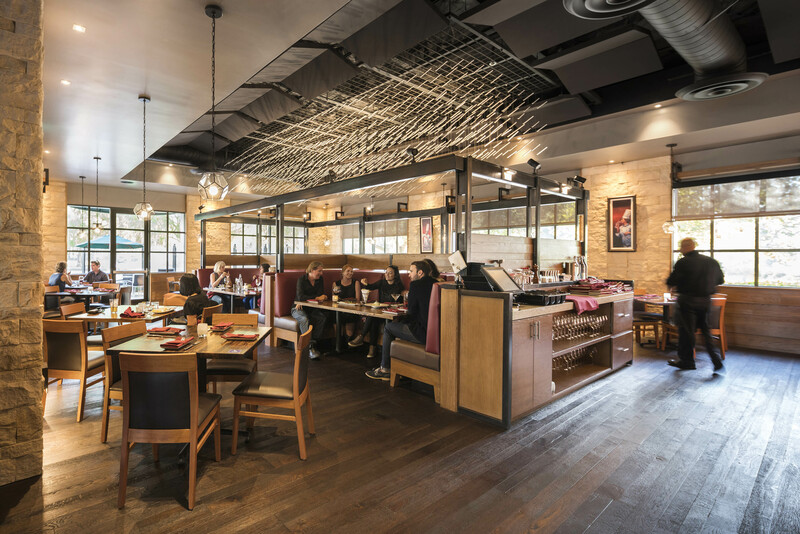 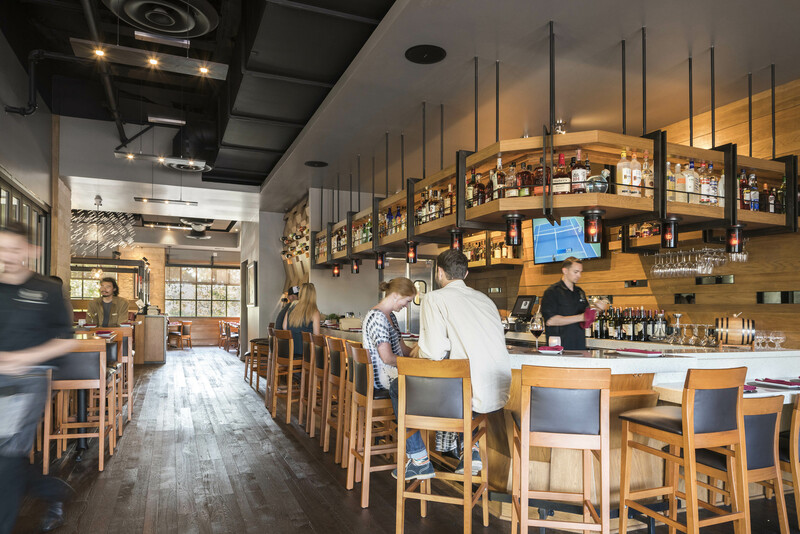 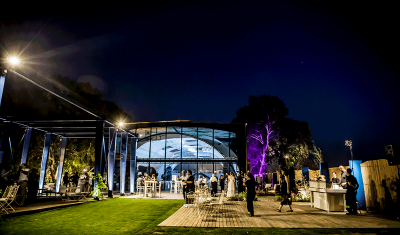 This new 5 star restaurant in the city of Irvine, CA was designed with a warm urban rustic flair. 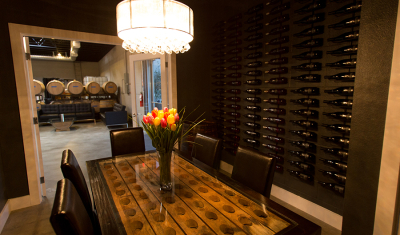 The dark wood floors are offset with white countertops and white oak wood throughout. 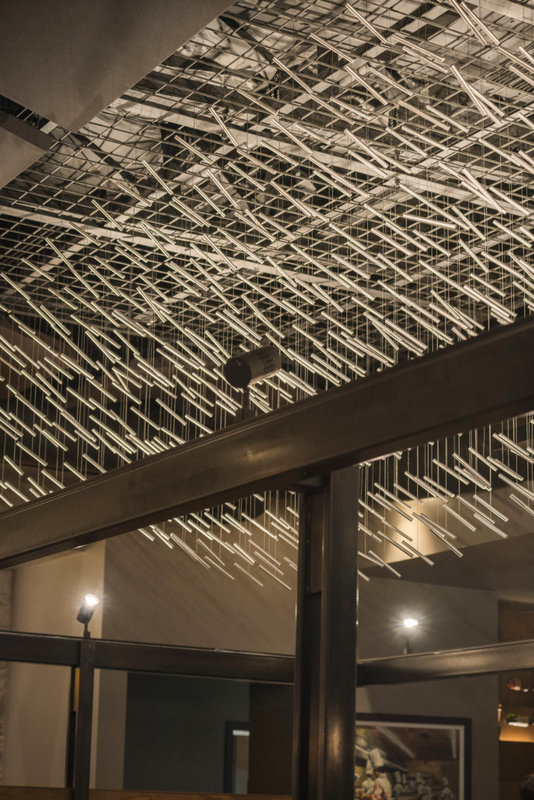 Above the central booth seating is a custom chandelier / sculpture with over 2,000 individual rods that shimmer in the light against a black ceiling. 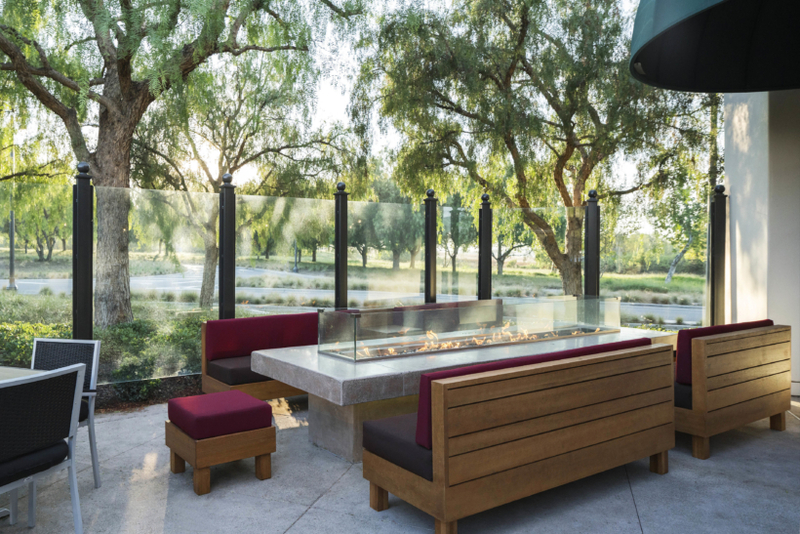 Several custom 2 meter high water features mark the transition between the indoor and outdoor dining areas. 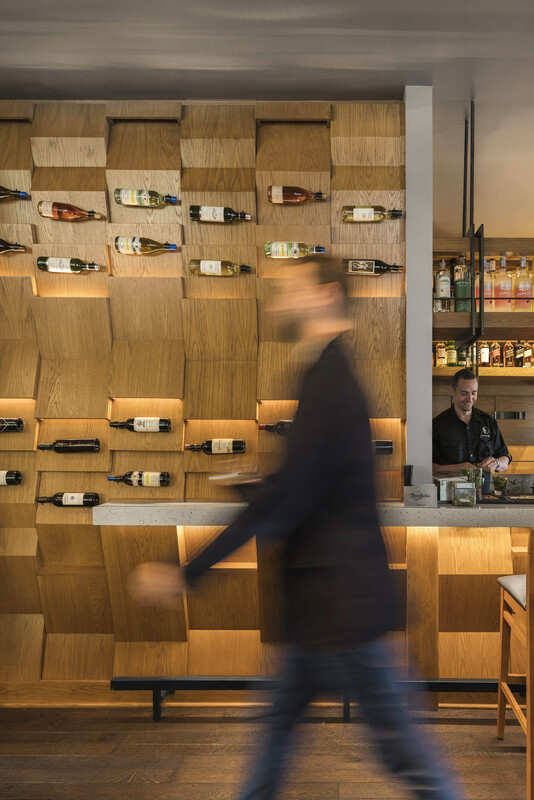 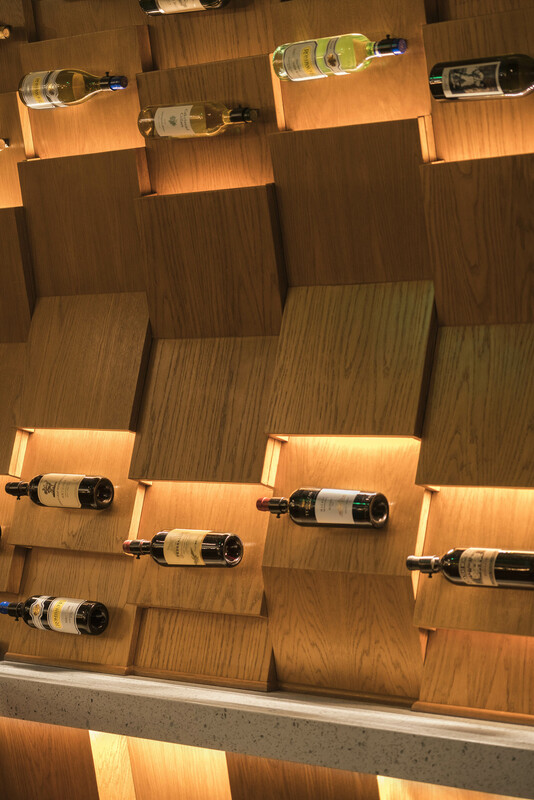 Additionally, the main transition between the bar area and the dining area is marked by a floor – to – ceiling wine wall with a changing display of selected wines.